There are numerous fishing enthusiast people who love kayak fishing as using a kayak for fishing has lots of advantages. But how much you would spend for a kayak, it completely depends on your budget while the amount of budget wouldn’t be same for everyone. There are lots of price ranges for the kayaks and likely it can be started from $100 and can be ended near $2000. A professional angler might not care to spend $1000 or $500 for a kayak while the beginners and amateur anglers might want to get it in a normal or very limited budget. So if you are a beginner or an amateur angler and want to get a high quality fishing kayak under 200 dollars, then this post has been written for you. These best cheap fishing kayaks under 200 dollars would make your dream true for kayak fishing. 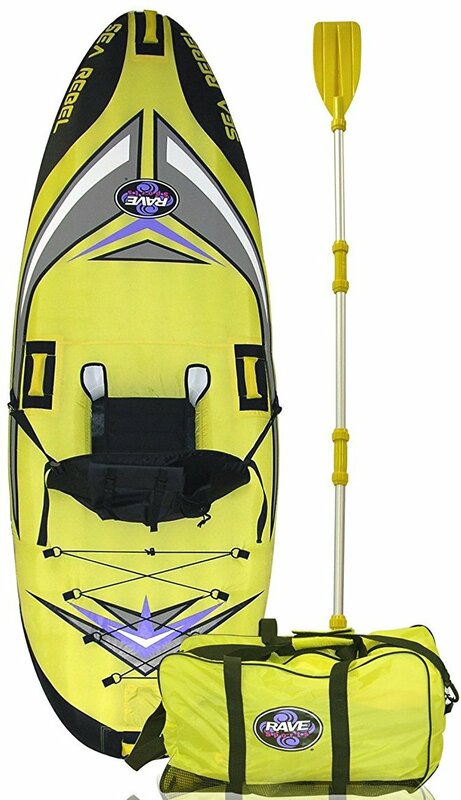 These high quality cheap fishing kayaks will increase the accessibility and make you able to easily move to the target place in the lake, river and stream. The manufacturer made these kayaks with high quality materials to decrease puncturing and increase stability. 2 Five Best Cheap Fishing Kayaks Under $200 on The Market. If you make sure these two things before choosing a kayak under 200 dollars, then your chances of getting a quality kayak more than higher. 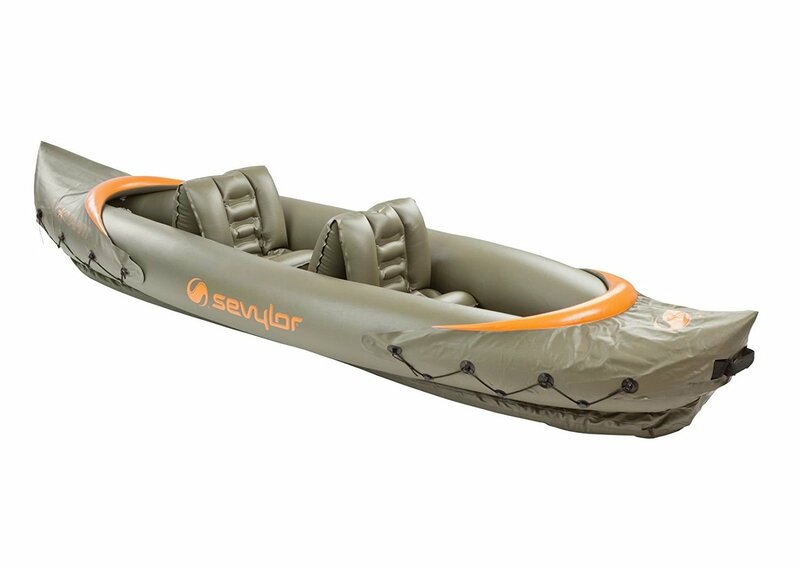 Materials: The first requirement for an inflatable kayak that it can withstand puncture, because it’s not fair to get your kayak punctured while fishing. The PVC material is one of the common material that not only uses to make the kayak durable, but also it can amazingly protect your kayak from puncturing. So I would recommend, you may choose a kayak that uses high grade PVC like 20 or 21 gauge and with making sure this thing, if you also choose the kayak with PVC Tarpaulin bottom, then that is obviously great to ultimately protect your kayak from being punctured. Air Chambers: The multiple air chambers on a kayak help to stay the kayak inflated if the one is punctured. That’s why make sure the kayak has two or two more air chambers, so if the one is punctured, then the rest one will help to stay active on your fishing expedition. Five Best Cheap Fishing Kayaks Under $200 on The Market. So don’t worry here you can find those specifications into these best cheap fishing kayaks under $200. Because these kayaks on the list meet those requirements as I told on the last two paragraphs. 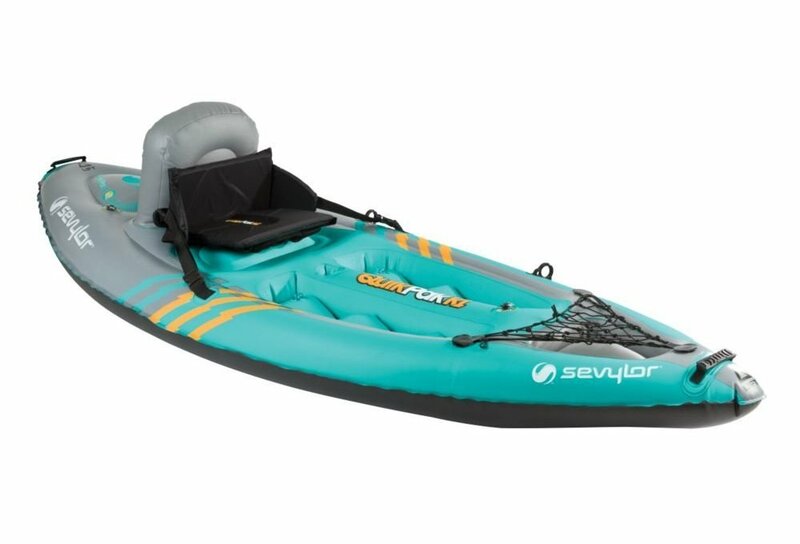 The inflatable Sevylor Quikpak K1 is offering lots of great features that would impress the anglers especially who ever looked for a quality cheap fishing kayak. This compact kayak will make your dream true for fishing at the lake or inshore. You can amazingly set up the kayak in five minutes while the double lock valves make it possible to inflate the kayak easily. The kayak has multiple air chambers as if the kayak stays inflated if unfortunately any chamber is punctured. On the other hand the tarpaulin bottom is excellently durable and greatly protects the kayak from being punctured. As well, it comes with a backpack that simply can be turned into a comfy seat. It also has a storage compartment with bungee to safely put the fishing cooler and other accessories. 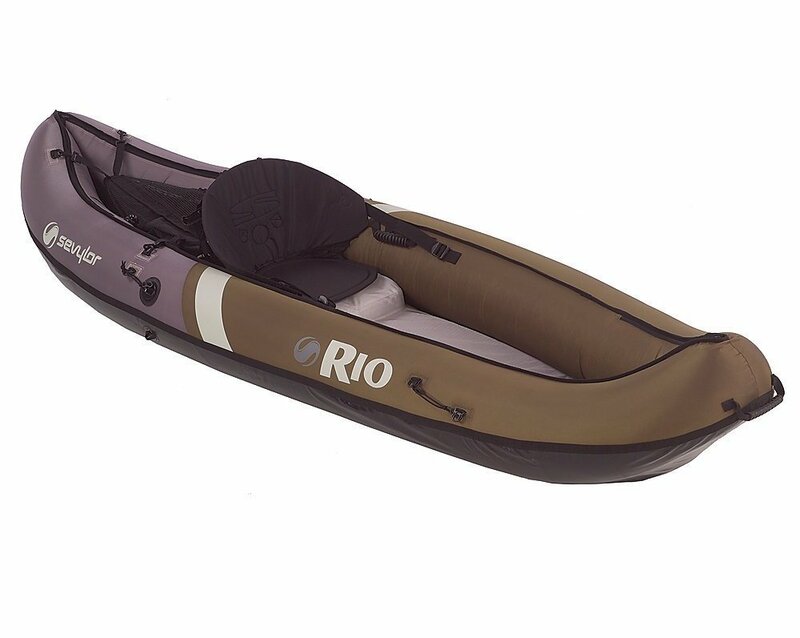 The Coleman Rio Canoe Hunt Fish is ergonomically designed with kayak like maneuverability as if the anglers get a great feeling and perfect experience of fishing without having the unfairness. You can use this Canoe in the rough water as it is durably designed to overcome the unfair conditions of water like the tide and medium size waves. That’s why no worries use it in the river and inshore. The double hull with raised bow and sterns maximized the canoe’s durability to success your fishing expedition in the rough water. As well, this stable Coleman Rio Canoe is able to hold 350 lbs that amazingly great as a single person canoe while the bucket also ensures perfect control for steering. If you want to add some amusement on your fishing expedition, then this Sevylor Tahiti Hunt & Fish Kayak with dual seats has been designed for you. It will let you to enjoy the kayak fishing with your friend or best buddy while you can also cooperate with each other to have a successful fishing trip. The kayak is completely suitable to use in the lake as it is especially constructed with 21 gauge PVC for the best use in the lake. The adjustable seats on it offer the best fittings with comfort. And to completely protect you from the unfairness it has dual air chambers as if the second one stays inflated if the first one is punctured. On the other hand the airtight system excellently protects the kayaks from leakage. It has also carry handles as if you can easily carry it to the water after inflation. The Rave Sea Rebel is an inflatable kayak that is composed with PVC Tarpaulin bottom to make its construction durable and protect it from punctures. They designed the kayak for fishing, relaxing and traversing in the water. So the anglers who want to use it for fishing purpose they can properly use it on the lake, river or streams. It has 200 lb capacity and comes with a carrying bag. If you want to securely put the gears or fishing bag or kayak deck bag, then it has an open wide compartment with bungee where you can put these things. The backpack that it features that also waterproof and it can be even used for carrying the fishing gears. It has also one year manufacturer guarantee. This is one of the sleek and compact single person kayak that is designed with eye catching graphics that actually enhance your safety. 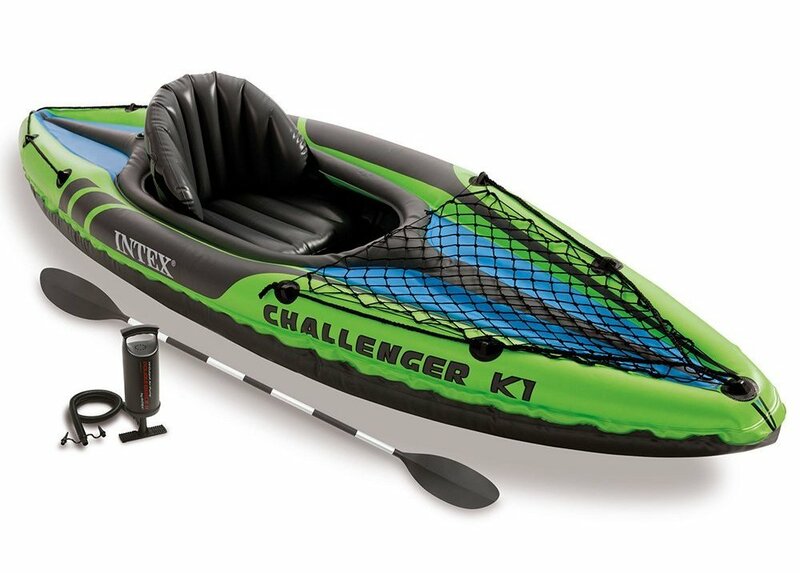 The Intex Challenger K1 Kayak comes with 220lb (100 kg capacity) that is enough for carrying a single person, fishing bags and other very needed accessories. The kayak is made of durable welded material that provides extra stability when you will be kayaking with it in the lake or slow moving river. The cargo net on the kayak lets you to securely store the gears while the removable, adjustable and inflatable seat is comfortable and can be repositioned easily when you want. To make the kayak faster it has been designed with streamlined bottom that slips into the water easily with your pedaling. These cheap fishing kayaks under 200 dollars are really great for starting your fishing expedition with saving the wallet. You can comfortably continue the fishing in inshore, lake, river and stream without having unfairness. Even when I started angling I had bought Sevylor Quikpak K1 and almost I used it for 1 year. So take your time, read the specifications and choose one that is compatible for you.